The simplest form of filtered permeability to restrict four wheeled motor vehicles is the well placed bollard. From there it’s a descending continuum through the not so well placed bollard, the crappily placed bollard in a narrow gap between kerbstones, to the tortuous steel chicane that doubles to slow bikes and people down. As a rule, a cyclist riding a standard two wheeled bike can negotiate these without getting off, or in the worst cases by just dabbing a foot down for security. Sometimes it appears over-engineered but as filtered permeability for two-wheeled bicycles goes it’s annoying but it works. No problem. On Monday British Cycling launched Choose Cycling, a “vision for how Britain can become a true cycling nation” and chose to illustrate it with some ‘normal’ images of cyclists. The chap copy-pasted onto that urban alpine switchback wouldn’t have any problem with the filtered permeability above. Of course he wouldn’t, because it’s been designed with him in mind. And there’s the rub, on the whole people designing bike infrastructure have the same mental image of a cyclist as British Cycling. And it’s not just British Cycling. I’ve blogged before about CTC’s Cyclemyopia when it comes to disability and about the Mayor’s Vision for London. The big bike organisations know full well trikes and handbikes exist – British Cycling run a Paralympic team and CTC manage inclusive cycling centres – but when it comes to campaigning for bike use in the everyday world of transport they default to illustrating their message of everyday cycling with images like Johnny Helms’ Baz. Saying or writing “for everyone, regardless of age or ability” isn’t enough. I think I’ve agreed with everything Chris Boardman has ever said in support of bikes as transport, he regularly hits the nail on the head, but are the people he’s trying to influence receiving the same message as me? A whole industry has grown up around specifying projects and products in a way that avoids what are often costly but usually very simple misunderstandings. If you describe an object to three different people and ask them each to sketch it you’ll get three different interpretations shaped by their personality, knowledge and experience. 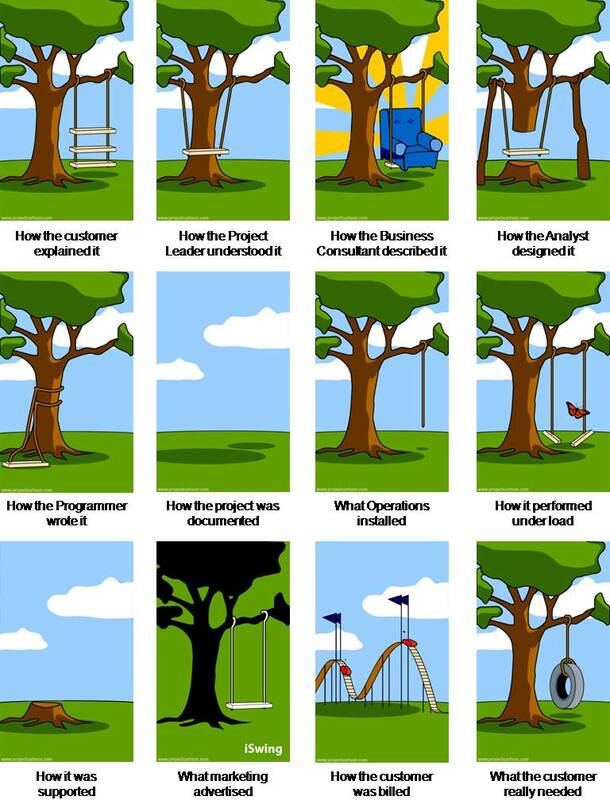 That’s communication – easy to say, hard to do. 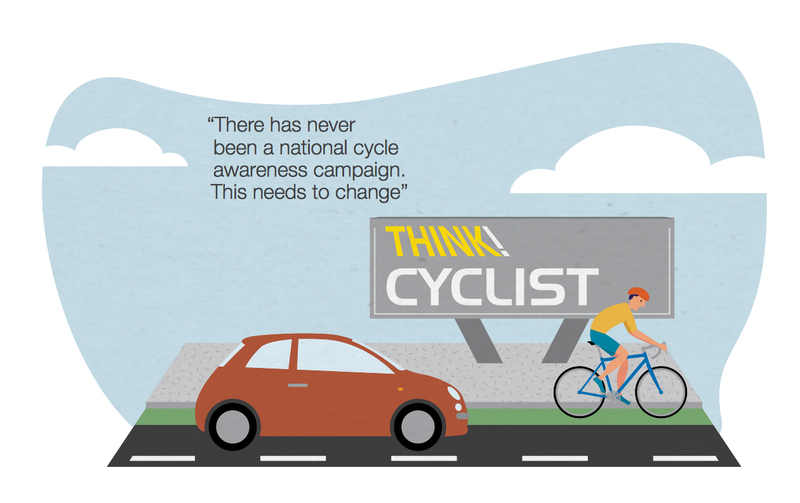 We need a national awareness campaign for the bike orgs, the bike media and the bike industry to ‘Think! Cyclist’ until they’ve demonstrated they can represent the diversity of cyclists out there using bikes as mobility aids on a daily basis. 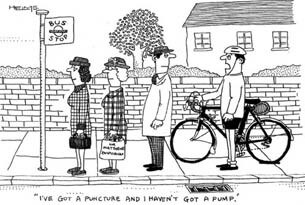 For many reasons cycling has an image problem, perhaps regurgitating the same, stereotypical image isn’t the best way to change that. At least things are ticking along nicely in London at the moment through Wheels for Wellbeing. The cycling commissioner Andrew Gilligan has been assimilated into the world of handbikes and through TfL’s Brian Deegan a specification for an inclusive bike along with recommendations for its environment have been input into the London Cycling Design Standards. I was there at the campaign conference in 2009 and the Fallowfield Loop was part of the Sunday tour. I’ve got a vague recollection of a lady on a mobility scooter struggling with the barriers too. Sorry to hear it hasn’t improved. You raise a good point – if access is restricted it ought to be marked on bike maps etc, that’s the least that could be done. Good post – inclusivity in cycling is a real issue with much of the infrastructure designed so it is only suitable for the young & strong. Vulnerable and disadvantaged people have most to gain by taking up cycling, but are under-represented both during planning and on the ground. Mobility bikes and cargo bikes are designed out but should be an important part of getting more journeys completed by bike & getting businesses to start doing more deliveries by cargo bike. This should be an important part of future proofing our transport network. Real cycling infrastructure should be safe and inviting for everyone. Just thought I would mention that I used https://www.writetothem.com/ for the first time today and it works well – the contact details of all your politicians (local, MP, EU) and an online letter writing editor. If anyone lives in the area and hasn’t reported it, it is definitely worth taking 15 mins to do this. I’m running a page for cycling consultations on facebook to try to get more people engaging with their politicians on these kind of issues: http://www.facebook.com/cyclingconsultations It is somewhat London centric at the moment but I’m hoping to include items from across the UK and also for the devolved parliaments – if there are any you know of please get in touch. Even just with a “normal” bike if you are towing a trailer (with or without child) or even in some cases simply encumbered with luggage these “facilities” often aren’t. A member of staff at a train station with staff-operated lifts (available on request to passengers with access needs) told me he wouldn’t let me in the lift with my bike because “if you can ride it you should be able to lift it” – the bike (a hefty Dutch machine) weighed more than me with its luggage (copious) on it and no, obviously, I will not take the luggage off the bike and leave it “unattended” to carry it up (and down) stairs in shifts because it’s valuable! Ah, the it’s-your-own-fault response. I know it well. I’ve been told by a member of the British Transport Police that if I’m not capable of pushing my bike I should be in a wheelchair. Some people just aren’t cut out to work with the public. 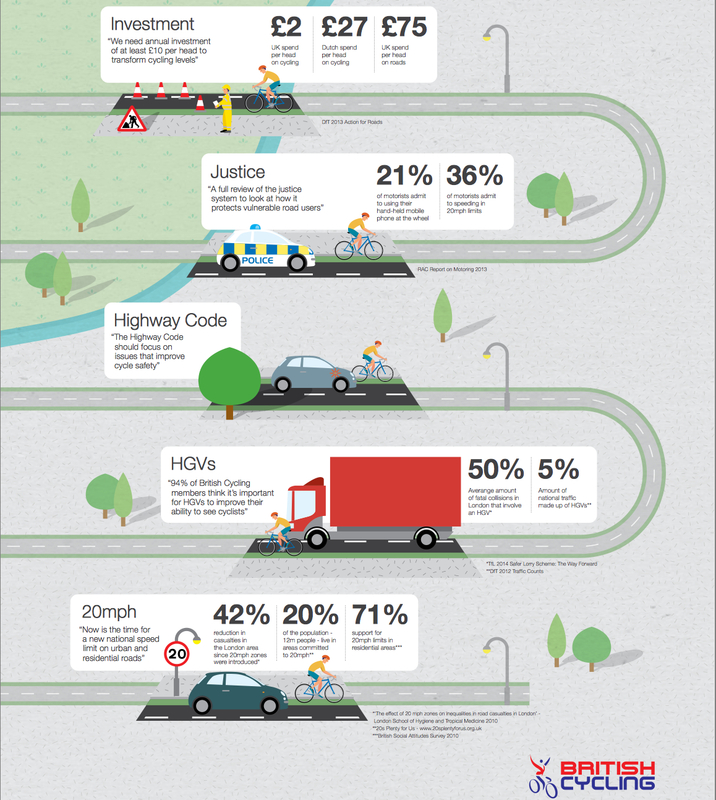 The obvious response to: “I’ve been told by a member of the British Transport Police that if I’m not capable of pushing my bike”, is the question: “do you drive?” Can you push your car at 30 mph? If you can’t…. Great post by the way, nice one. Great post. 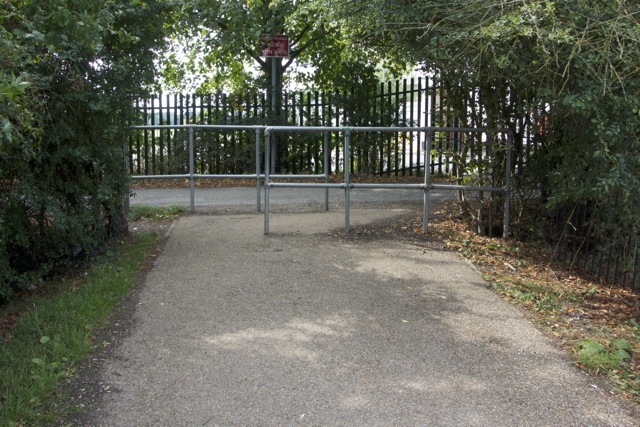 I have actually had one small success with my local council where they have installed some terrible barriers to cope with a non-existent off road bike problem, but which prevented legitimate access for disabled people. I asked our solicitors whether it could be challenged using Equality Act and the mere mention that there could be a legal challenge, meant the gate in question got changed almost immediately. It is one small victory, and I have a list of them I am working through. Nice one! When you get a few under your belt a blog post on the successes/failures might be helpful to others – what worked, what didn’t, that kind of thing.